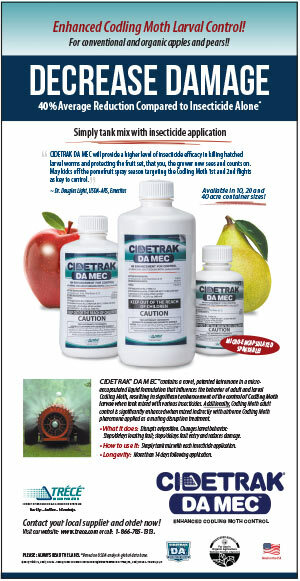 CIDETRAK® DA MEC for Codling Moth Control | Trécé, Inc.
for Codling Moth, Cydia pomomella, in Apples, Pears and Walnuts. 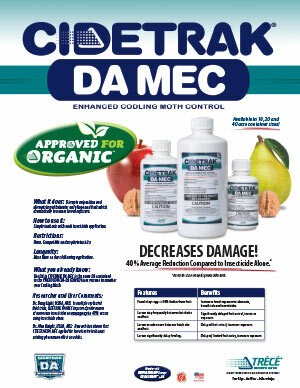 Additionally, Codling Moth adult control is significantly enhanced when mixed indirectly with airborne Codling Moth pheromone applied as a mating disruption treatment or liquid Codling Moth pheromone applied with CIDETRAK DA MEC as a tank mix. 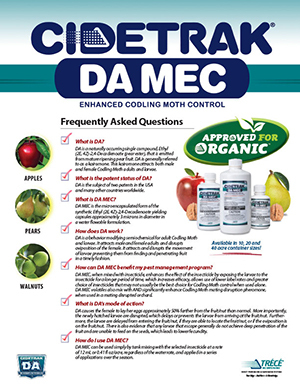 The DA in CIDETRAK DA MEC is the same DA (pear ester) contained in the PHEROCON CM-DA COMBO lures you use to monitor your Codling Moths. This lure has become the leading monitoring lure used in mating disrupted orchards for male and female Codling Moth worldwide. What it does: Disrupts oviposition and disrupts larval behavior on foliage and fruit which dramatically increases larval exposure. 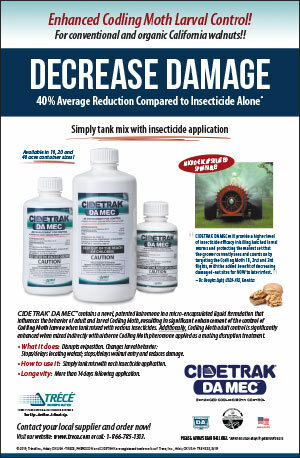 How to use it: Simply tank mix with each insecticide application. Restrictions: None. 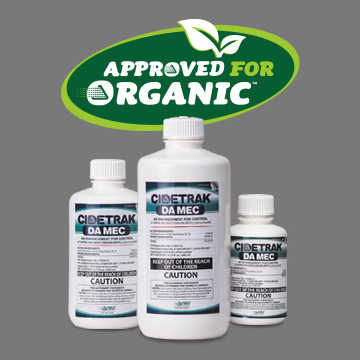 Compatible and no phytotoxicity. 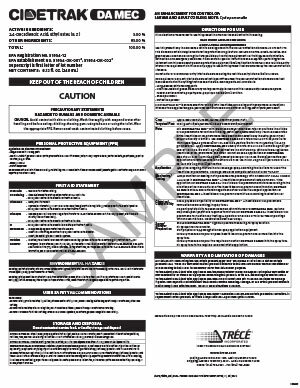 Longevity: More than 14 days following application.